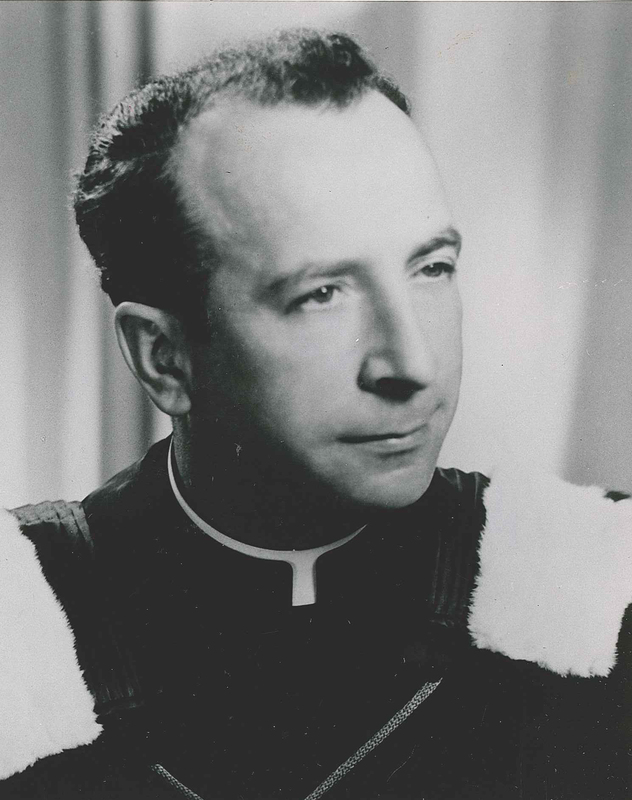 Father J. Arthur Scott was a student at St. Thomas College before joining the teaching staff in 1939. At that time, organized sports were almost non-existent, but he soon became known as the promoter and coach for all St. Thomas athletes. Throughout his 10 years at the college, Father Scott coached hockey, rugby, basketball, baseball, and started the first women’s basketball team. In 1948, it became apparent there was a need for a full-time athletic director, but Father Scott continued to be involved in sports as an assistant coach, manager and promoter.